There’s nothing more satisfying than growing your own plants to enjoy. Want to cook up a delicious pasta sauce? Just pop right over to your garden and pick off a couple of big, juicy, and red tomatoes. Craving a healthy snack? Grab some amazing blueberries and raspberries to toss into a dessert recipe or to munch on alone. Going on a date and need to impress your partner? We guarantee they’ll love receiving a bouquet of roses that you grew yourself. It’s so rewarding to be in charge of your own produce. It starts with a thought but requires a lot of effort and hard work to produce your own garden. 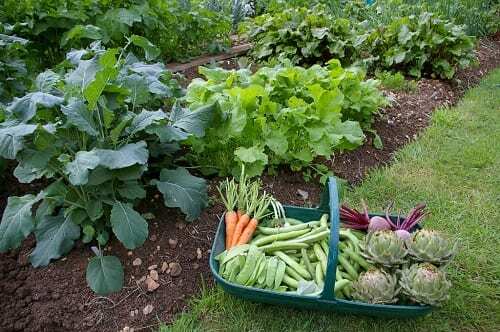 As rewarding as the results are to experience, it can be extremely difficult for beginners to get their gardens growing without any issues. Every gardener knows there are tons of issues that can arise. First off you need to make sure your plant grows. 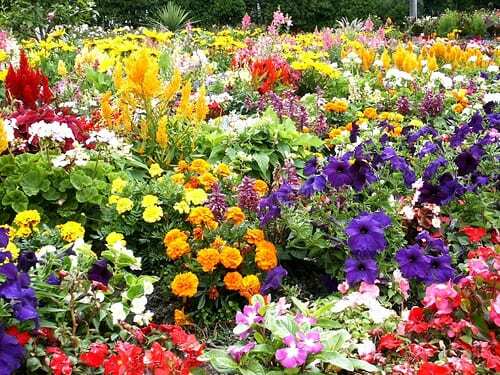 Every greenery needs tender love and care in the form of nutrients, sunlight, and water. Yet before planting your crop you must research your land and climate. Without the right temperature, a plant may stall before you can witness the fruits of your labor. 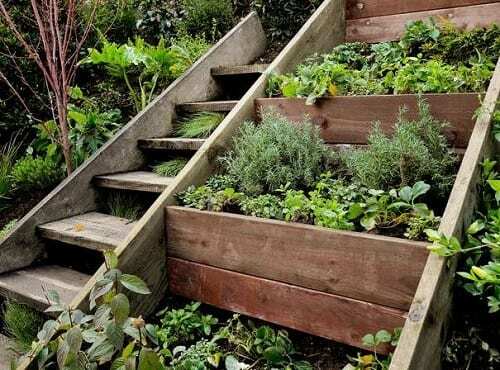 It’s the first step that amateur gardeners never take into consideration. Just like us, plants need to consume the right amount of food and water. Sometimes it’s harder for plants to receive what they need. Therefore we have all of your quick, easy, and cheap solutions for some of the biggest problems that arrive. 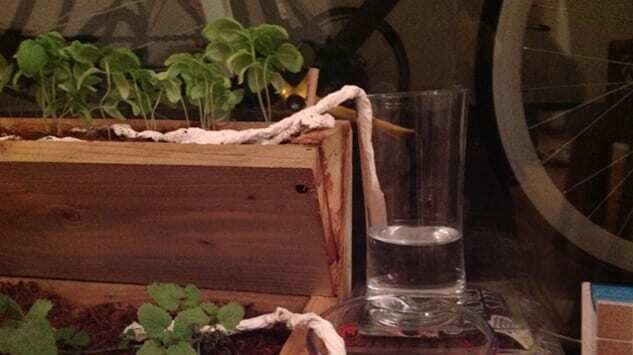 For instance, if you have a plant with long roots that’s not getting enough water, just plant a briefly exposed cut-out pot to pour water into. The moisture will soak deeper into the soil and reach the end of your plant, thus blooming a beautiful green crop. You’re welcome. There are tons of tricks in here that the professionals don’t want you to know. 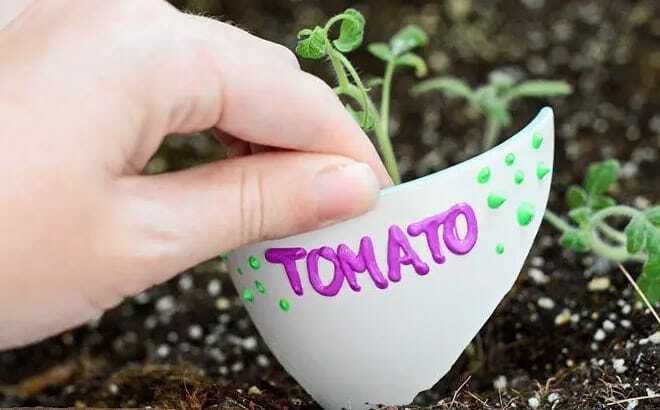 They’re filled with innovative ideas to kickstart your own personal garden. Whether you’re looking to adapt gardening as a hobby or pursue it professionally, our list is filled with an easy to follow guide to alleviate your most annoying problems. So continue reading to check out everything you need to know to produce your perfect field of green. There’s nothing more beautiful than an all natural garden. Let us help you do it right with these easy tips. We guarantee you’ll love the results. California is currently in one of its biggest droughts in the state’s history. Without water to treat your lawn, it will likely turn brown and die. Many landowners are destroying their lawns temporarily until there’s water. There are many ways to do this: you can use chemicals to kill the weeds and grass, or you can take a more natural route. Just cut your lawn, dampen a cardboard box, cover your lawn, and add up to six inches of mulch. Your lawn will die naturally and you won’t have to use excess water. Sure, bunnies are fluffy and cute when they hop about and munch on carrots. They’re not so cute, however, when they’re gnawing on our herbs and enjoying our hard-earned veggies. 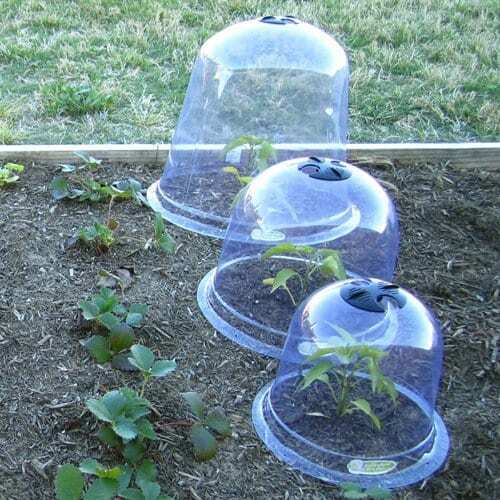 One efficient way to keep rabbits out of your garden is to install cloches to encompass your plants. These microwave-like covers still absorb sunlight normally but will ward off pesky creatures looking for a quick meal. You don’t want to use them long, however, just during times that rabbits frequently roam your yard. Gardeners at the expert level know that it’s not just enough to plant beautiful crops. The layout and presentation of the plants matter in addition to the plant’s health and vitality. To give a plant with long stems a gorgeous layout and space, try installing bamboo poles into your pot. Wrap around your stems to elongate the plant and give it an elegant and tall aesthetic. Bamboo is also a gorgeous natural tool that blends in well with the green of your plants. You’re going to just have to trust on this one. 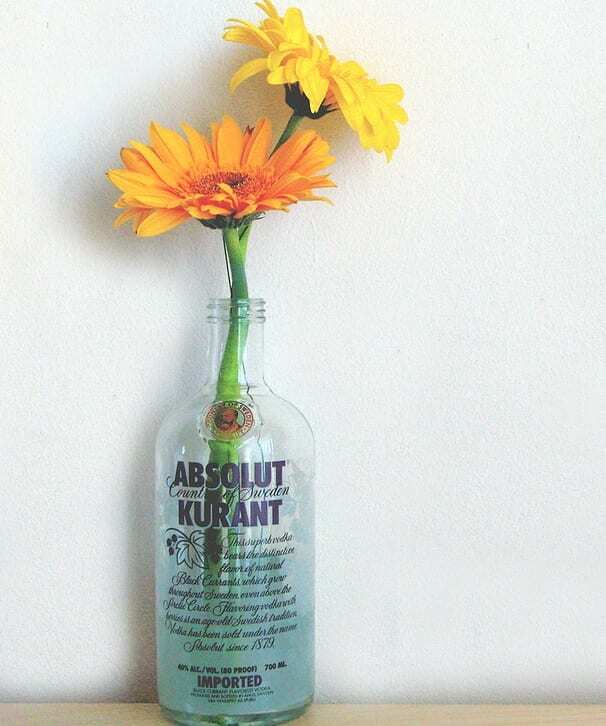 Alcohol, and vodka in particular, isn’t just a mixer for a tasty cocktail, it can actually help stall the aging process of cut flowers. Throw in some lemon-lime soda and watch the colors in your petals brighten. Floriculturists have been observing this phenomenon for awhile now. Professor John Dole from North Carolina State University says that it’s important to get the combination just right so be sure to use a three-to-one ratio of vodka, water, and soda. One problem you may have already experienced is the dilemma of what to do with your plants when you’re away on vacation. Do you hire someone to pop in and water your greens? Do you ask a friend? Sometimes it’s just not that easy. Therefore, we recommend this slick trick of making sure your plants are constantly wet while you’re away. Just dip a long paper towel in a glass of water and line across your plants. The towel will absorb and spread the water slowly and evenly. It’s important when building your garden to protect the environment as much as possible. We’ll show you the best and most natural methods that won’t damage your space and pollute the earth. For our first trick, we have your biodegradable pot holder. Start with toilet paper rolls (we suggest from a larger variety). Cut them out and begin taping them from the sides and underneath until you’re happy with the size of your pot. Then just pour in the oil and your seeds and you have a totally natural plant. As you move forward in your gardening skills, it’s great to start training your designer eye as well. One good way to expand your eye is by incorporating space and levels into your layout scheme. One way to do this is by using a shower caddie as a hanger for your greenery. Just nail a hole into the wall, and install your hanger. This will create a dynamic garden that will guarantee have your family and friends jealous. Just like a musician has to constantly tune their guitar, a gardener has to always make sure their tools are perfectly ready for use. The more you use intense tools against tough conditions, they will wear down. 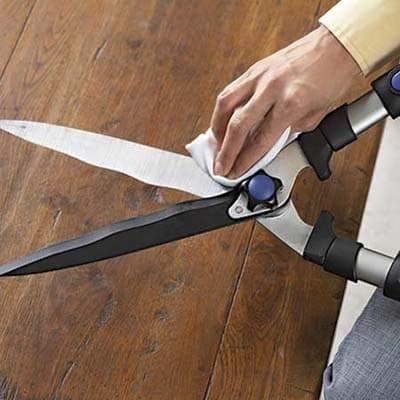 For unresponsive cutting shears, you can simply use car wax to lube i up so cuts smoothly. You’ll need your shears to cut out weeds and trim lush bushes. 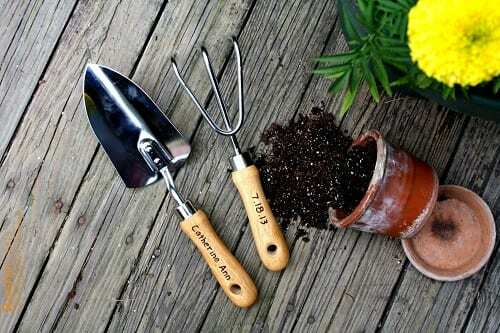 They’re perfect for designing your garden so make sure you have a great pair ready to go. There’s nothing quite like fresh basil in a pasta dish or rosemary cooked up with your favorite veggies. When growing your own herbs, you have to be conscious of how much you pick off so you don’t have excess waste. 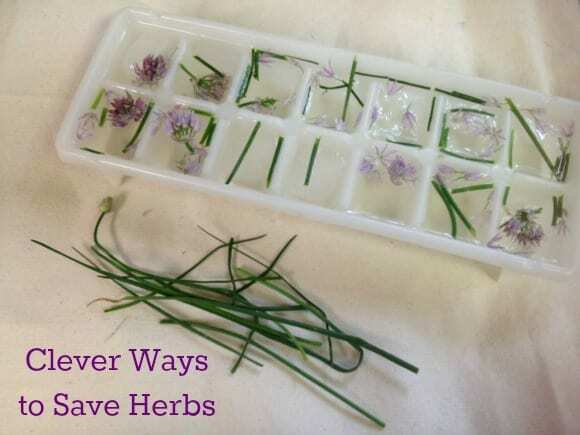 It happens, of course, and that’s why we recommend freezing your extra herbs in ice in your freezer. The freezing cold will keep it fresh and all you have to do is defrost and your herbs will be just as fresh as when you picked them. Listen, accidents happen. When working a long day at the garden it’s easy to trip over something, squash a plant, and even break a holder. We’ve all been there. In the nature of reusing materials and reducing waste, you can use your smashed holder as a perfect name tag. Take your favorite colored markers and identify your plant. Place it in the dirt right in front and you have an elegant and classy descriptor to boost your garden. You know that frustration you feel when you open a package the wrong way and an endless stream of packing peanuts fall out? You wonder to yourself: “why on Earth does there need to be so many pesky peanuts?” Well now you can put them to good use instead of straight to the trash. They’re perfect for drainage so put them on the bottom of your pot, set the soil, and plant your favorite flower or herb. Problem solved! If you love your garden but also love a variety this is the technique for you. Once you dig your hole set a pot in the earth. Then take your plant and place it right into your first pot. Once you’re bored of your plant just switch it out for something else. It’s also great for avoiding taking out your garden when the seasons change. You won’t have to grab your shovel and start digging anything back up. For all the city dwellers reading this thinking – “what about us city folk?” – we’ve got you covered. You don’t need a big yard to plant your dream garden. You can pop into your local hardware store and purchase a few large plastic storage containers. Just fill it with soil, plant your seeds, treat and water and you’ve got yourself a mini garden. Make sure you leave your pot in direct sunlight and watch your impromptu garden grow. We suggest to all beginner’s to start off slow. There are plants that are perfect for those just starting out that will require low maintenance but boost self-confidence. Vegetables such as carrots and radishes are perfect for beginners. They’re straight forward and require the minimum sunlight and water a plant needs to thrive. Flowers such as sunflowers also are easy to plant and maintain. We suggest asking your local gardening store what would be best for you if you’re at the beginning of your gardening journey. There’s a lot to take into consideration when planting your first garden. One of the key things is to determine your own personal style. 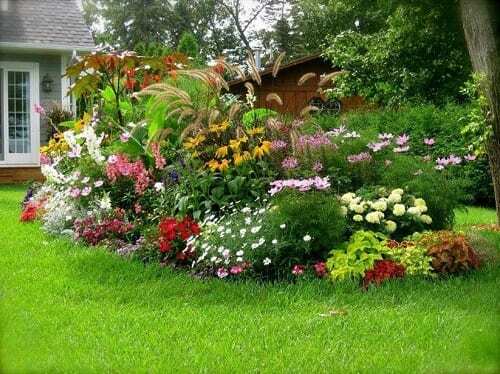 Do you like a minimalist approach with several plants scattered around or do you want a lush and rich garden. If you like the more-is-more idea of a garden we suggest going crazy with your flowers. Plant them close together so when they bloom you have a rainbow garden that is big and beautiful and sure to make your neighbors jealous. This creative little Pinterest idea is pretty simple, but does take a bit of time and concentration. 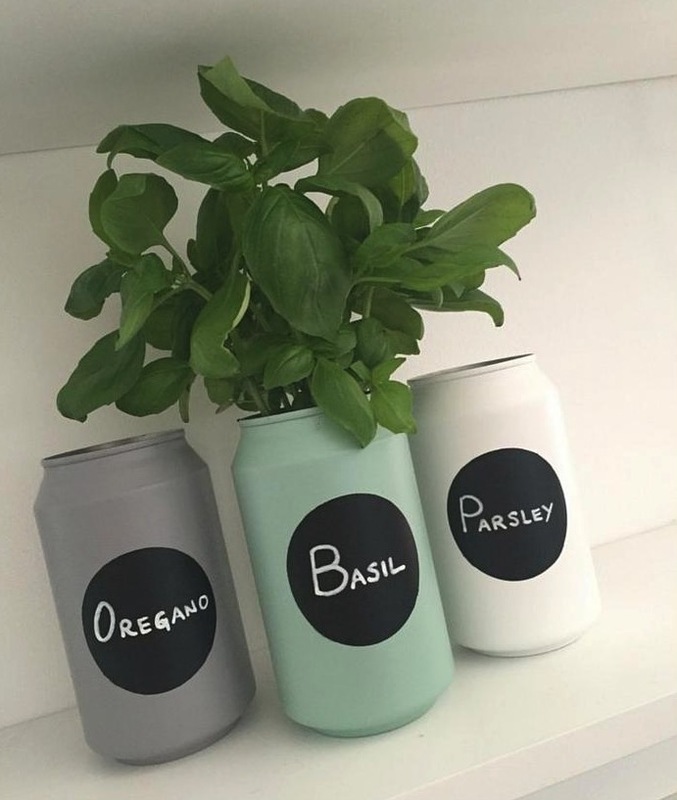 Basically, those who wish to make a soda can garden must cut the top of their can, spray it with spray paint, put a piece of black paper on it, and write the name of the garden. See? Easy. Keep in mind that the paint must dry for about 24 hours, and you should spray this only outside. Additionally, be cautious about opening the can to avoid injury. As you proceed in your experience, you can expand your crop choices as you better understand your climate and how to maintain more difficult plants. As you move through beginners plants you’ll begin to gain a stronger understanding of what earth you’re working with, how much water is required, and perfect measurements for crop growing. 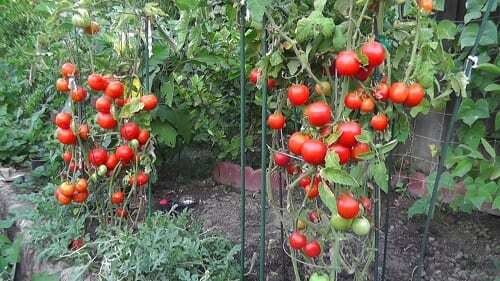 More intermediate plants such as tomatoes and peppers can be the next step for you to create an impressive garden. Before you try to plant your garden it’s crucial that you research your climate and what plants grow best in it. We guarantee you’ll be incredibly frustrated to spend all that time planting your crop only to never watch it bloom. Earth is different all over the world so it’s best to know what your crop can produce. So we urge you to take the time to look up your climate and purchase the plants that will thrive. You’ll thank us later. Lemons, oranges, and limes – oh my! 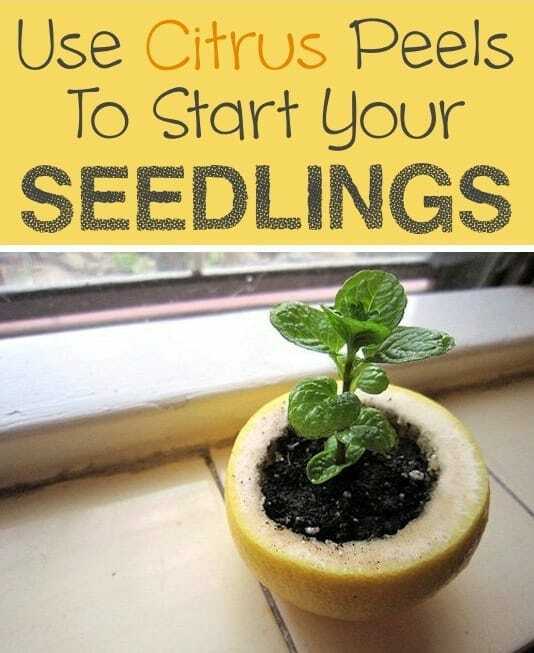 Your favorite citrus is not just a delicious snack, it’s the perfect host for your favorite seedling. All you have to do is cut into the citrus fruit, plant your soil, and input your seed. Cut a small hole in the bottom for drainage but that’s it – you’re good to go! 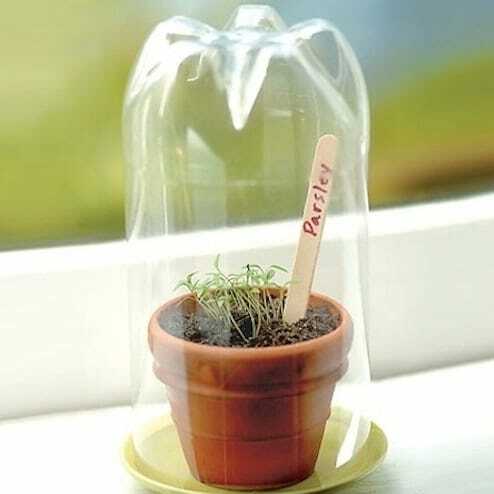 The peel will compost itself so it won’t spoil and you’ll have a perfect little plant to put on display near your window. Is there anything more annoying than trying to grow your favorite plant to only have it destroyed by a pesky weed? You want to get a weed killer that will destroy the nuisance without irritating your crop. Just take a small spray bottle and put 100% white vinegar and spray it all over your weeds. The vinegar is all natural so you won’t have to worry about it affecting your plants. It’s the perfect method for getting rid of those petulant intruders. Once you feel ready to try your hand at something a bit more challenging, you can throw in some more advanced plants for your garden. Take roses for instance: they’re beautiful, elegant, and show off just how much you’ve learned about gardening. They require a very particular process for maximum growth that include frequent pruning. It also needs a specific amount of sunlight to really bloom. Once you find your rhythm you’ll be able to treat and grow beautiful bouquets of roses. Roses are some of the most difficult flowers to grow. They require delicate grooming, just the right amount of water, nutrients, and sun, and require the perfect climate. 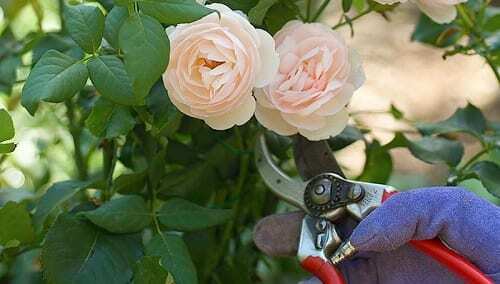 It could take years for experts to master the art of raising roses. For a quick trick to produce your own beautiful rose bush is by cutting off stems from a rose bush and growing it into a potato. The potato will support the stem as it develops its roots and sprouts into a rose bush over time. Who doesn’t love a good blueberry cobbler or raspberry tart? Fruits are delicious and can baked into many dishes as well as eaten on its own. There’s nothing more satisfying than growing your own fruit and sinking your teeth right into it. 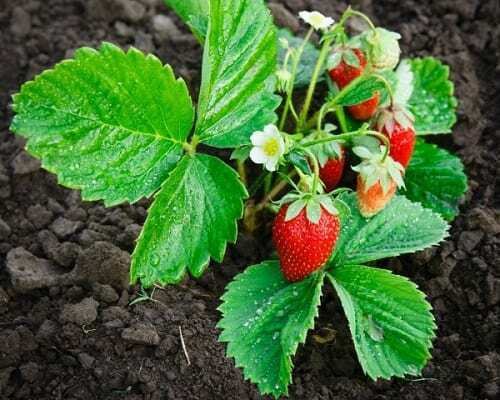 If you want a field of berries as part of your collection, we suggest you plant them in the spring. They will pop up every year so make sure you plant them right where you want them. Some plants are hard to maintain. They can spread and grow wide and before you know it, they’ve taken over your entire garden. We have your method at preventing this. Before you plant your overzealous crop, set it inside a pot with the bottom cut out first. This will contain the plant and prevent it from growing crazy all over your beautiful new garden. The roots will learn to grow down rather than out and you have your problem solved. It’s not just super important to have a beautiful border for your garden to separate your new garden, it also needs to be practical. 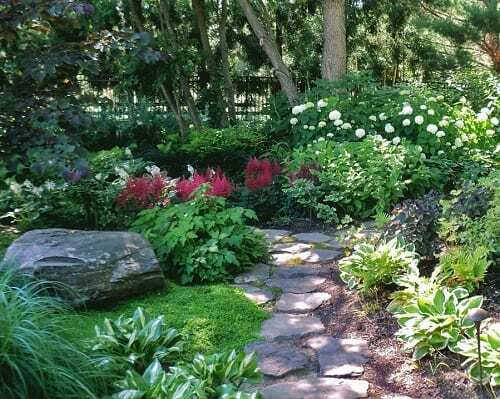 You want to make sure that your border doesn’t obstruct sunlight and doesn’t cut off the roots in the soil. You must also decide whether to use stone or wood. If you use stone be sure to add a layer of soil underneath to cushion the heavy rocks and to prevent it from sinking into your plant. We’ve talked a bit about the nuisance of pests but let us stress again: they are extremely irritating. They rummage through your garden, destroying all that’s in their way. 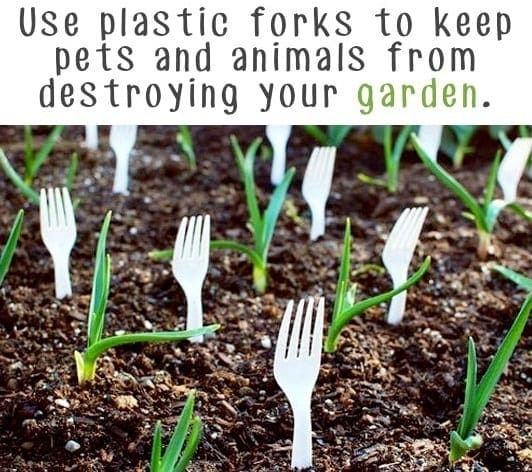 One way to fix this problem is to plant forks into the ground to keep rodents out of your way. They’ll see the potential threat and immediately turn around. If you don’t like the look you can always color the forks brown to better conceal them in your garden. There’s nothing better than an omelette breakfast. You throw in your favorite veggies, stir up your eggs, crisp your toast. What do you do with those empty eggshells? We have a use for them that doesn’t require throwing them right into the trash. Plants need their nutrients just like us and they can get it from the eggshells. After you cook up your breakfast, take the shells and plant them in with your herbs. They’ll thank you for it. We know that before you get to work on your garden, you’re likely enjoying a smooth cup of coffee to help wake you up. You need to be focused and on alert before you dive in deep to your new garden. Did you know that coffee is also great fertilizer? That’s right – it’s not just an efficient beverage. 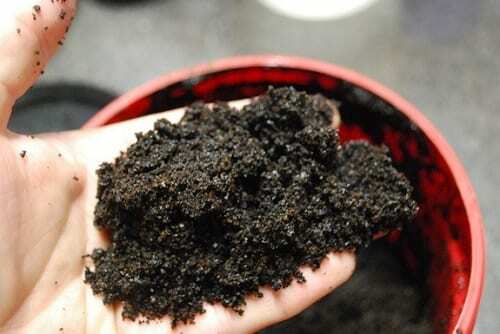 Just take your used coffee grounds to fertilize your plants and boost the nitrogen naturally in the earth. If you don’t have the space or availability of an accessible garden with a border, you can create your own with cinder blocks. 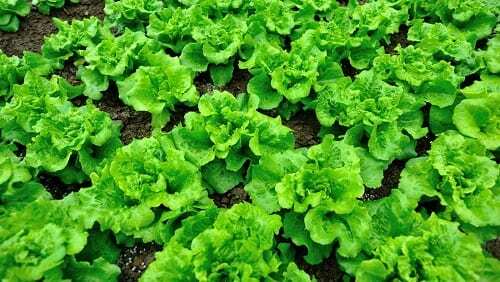 Lay them out in a perfect square, layer the bottom with cardboard boxes, throw in your soil, seed, water, and grow. We recommend planting lush, overgrown plants to cover the cinder block. No one will be able to tell the difference between your cinder block garden and the local greenhouse. We can almost guarantee it! It’s not just enough to plant a great garden. You have your stunning flowers and crops but something is missing. That’s where your garden design skills should come in. There’s so much you can do too: install a statue or even a lawn sign. Our personal favorite is the lantern. You can buy it inexpensively from design stores and hang it from your trees or porches. 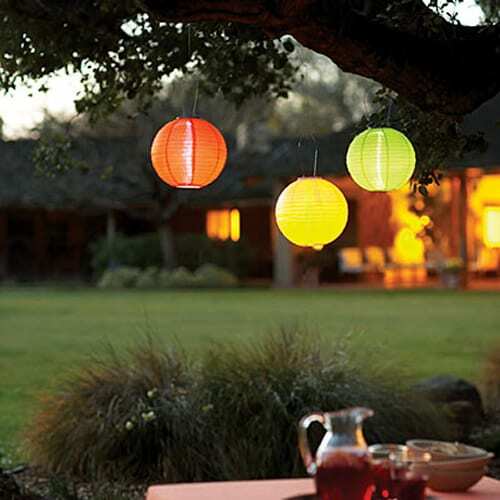 Put in a light to illuminate the soft hues and you have yourself a beautiful garden. What’s more beautiful and satisfying than seeing butterflies roam free in your new garden? They’re not only majestic they’re also extremely helpful for spreading fertilizer around your garden. “How do I bring the butterflies to my garden?” you ask. Lucky for you we have your answer. There are plants and herbs that will attract butterflies such as fennel, willow, and thistle. 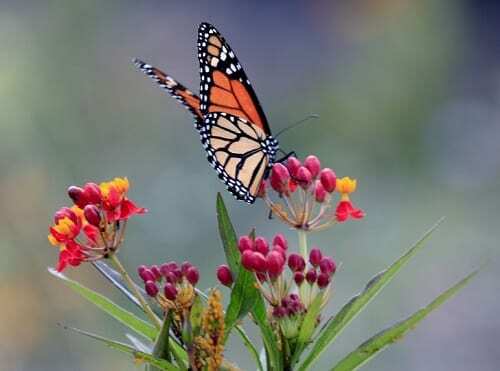 They will naturally bring the butterflies to your yard and they’re easy to grow. Just some seeds, water, and sunlight and you’re good to go. If you live in an area where rainwater is not regular, you may need to treat your plants with longer roots a little better since their ends may not be getting enough water. 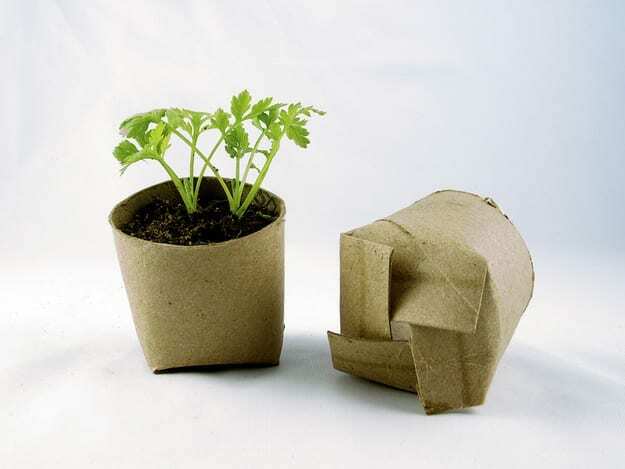 Therefore, take a cylinder planter and cut off the bottom. Plant it next to your plants with deeper roots and as required, pour the water through the holder. This will send the nutrients straight to the plants base. They’ll thank you with a stronger and greener product. There’s nothing better than a juicy, homegrown tomato. It’s the perfect base for your homemade marinara sauce or brand new pizza recipe. It’s even great as a snack on it’s own with just a pinch of salt. The salt is not only just for taste, you can plant your tomatoes with the salt to watch a gorgeous crop bloom. That’s right – salt can be used as a base for your seeds to make the vegetable plant be fruitful with lush red tones. A greenhouse is used to help moderate the perfect amount of oxygen, sunlight, and water a group of plants require. It helps absorb the sunlight too and disperse it across plants. If you don’t have access to a greenhouse, you can create one easily. Take an empty plastic bottle, cut it off, and cover your seedling. 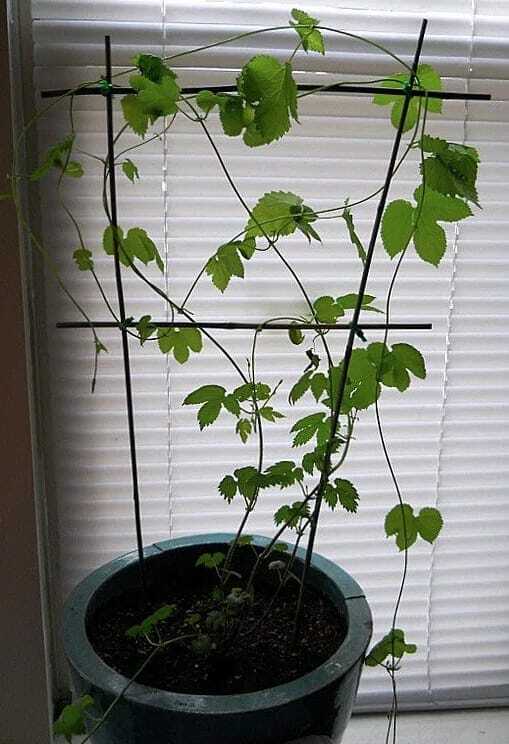 Leaving it near a window will help it soak up the sun and grow tall. It’s the perfect DIY solution. Just like a musician needs his instrument in top condition, every gardener needs to have their tools at the ready and in high quality. 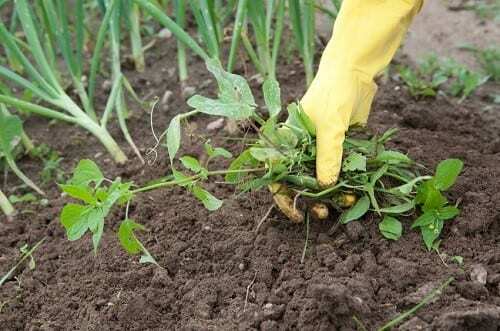 Every gardener, professional or amateur, needs to have their gardening gloves to protect their hands and avoid mess, a fork to eliminate weeds and soften the ground, a shovel that can dig a perfect hole, and a watering can to help your crop grow. Make sure you have everything available before your start your process. We know you’re looking at this picture and imagining the worst. Don’t worry – there’s a good reason for why there is a baby diaper at the bottom of this plant. The diaper is perfectly designed to trap moisture (as we’re sure you know already). For plants that require constant moisture to reach their roots, the diaper is a perfect way to keep any plant wet. Just lay down the diaper, add your soil, and watch your crop bloom. Basil is the perfect ingredient for a number of delicious dishes. It’s what helps make pasta and pizza deliver that fresh taste. Therefore, when growing basil, you want to make sure that it is super fresh and plentiful. 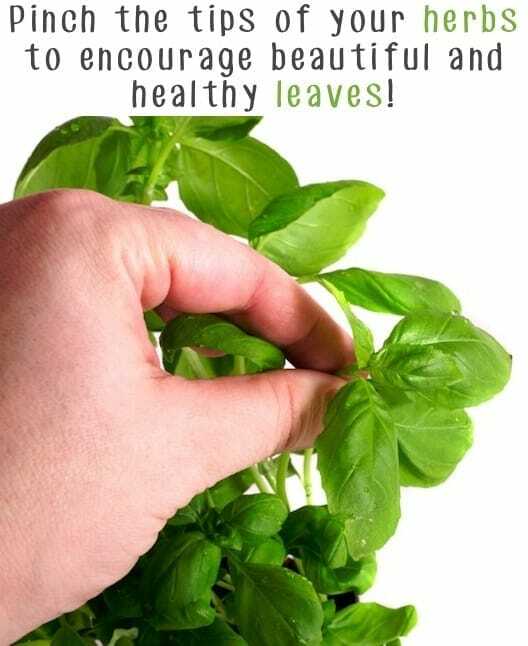 To promote growth in basil plants, pinch the base of the leaves. The stems will send signals to the plant to reproduce. We know it sounds crazy but you’ll just have to take our word for it and you’ll end up with amazing basil leaves. 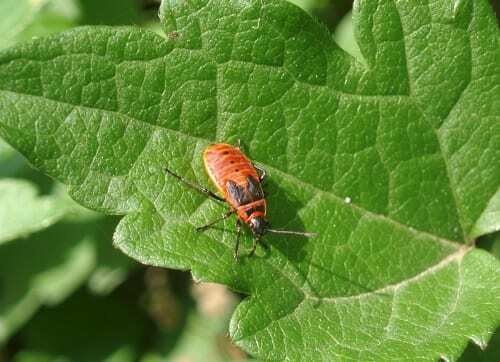 Pests are a problem when growing your garden. They can naw at your crops and take out all of your hard work in a day. Therefore, to get rid of those pesky creatures, take a spray bottle and fill it with a combination of canola oil and dish soap. Walk out to your garden and spray it all over your plants. Don’t forget to get underneath your plants too. This method is perfectly safe and natural and won’t harm any humans. 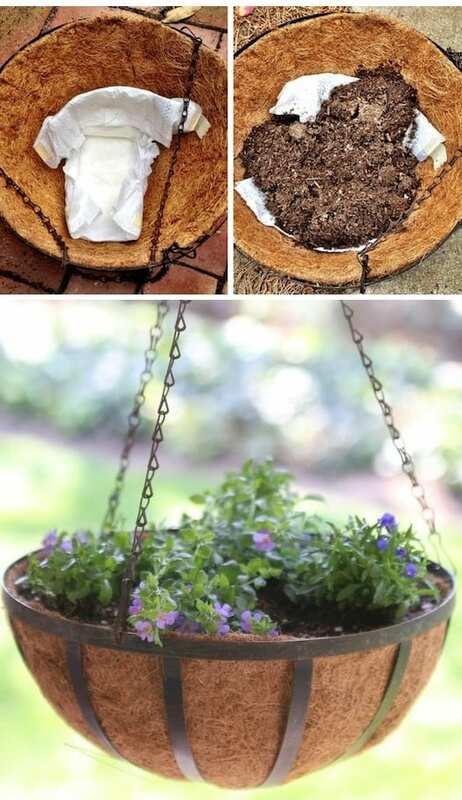 If you don’t have access to an outdoor garden and must rely on indoor plants, well, this is the method for you. 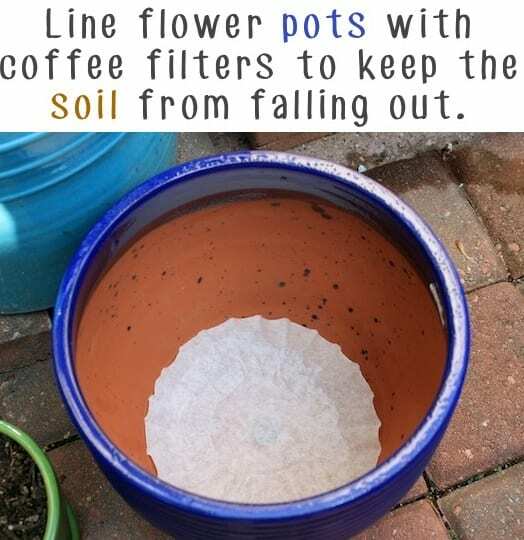 Take your favorite pot and line it with coffee filters. 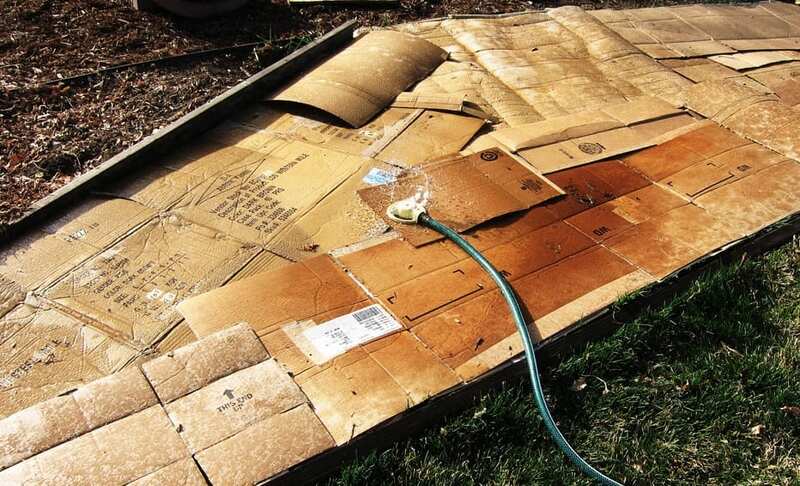 This technique will help prevent any mess from overwatering. The filter will absorb the excess moisture to keep the water levels for your plant just right. 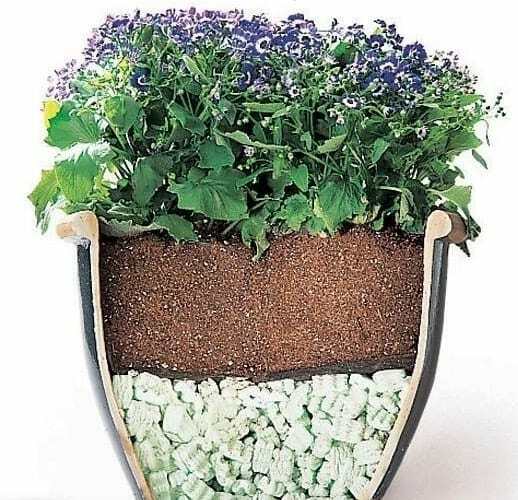 It will keep the soil tight in your pot and promote healthy drainage throughout the entire plant. Calcium is important to build and support strong bones in our own bodies but it’s not just an important nutrient for us. You can get calcium from a variety of foods including milk, cheese, and seeds. You can also get it from egg shells. 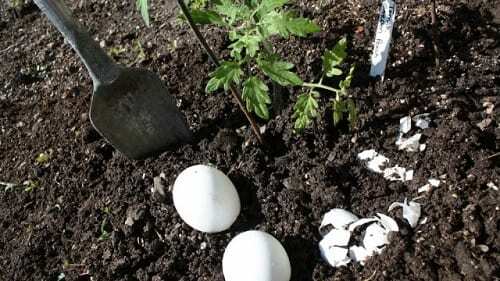 We recommend grinding up some of your used eggshells to mix in with your soil. Your plant will grow tall and lean with the help of this incredibly important nutrient. Trust us. Many of these methods we’ve presented to you just prove how one man’s trash is another man’s treasure. 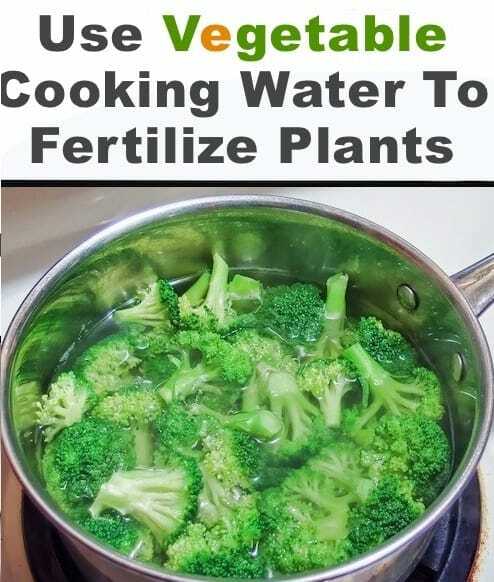 The next time you boil your vegetables, don’t just dump the water down the drain. That water you think is useless is actually packed with nutrients to help your garden grow. It’s au natural and super healthy and will surely bring out the green in your plants. Not only will you make a great meal but you’ll also have some vitamins ready to go for your garden. If you want to combine your new knack for garden decor and healthy living, we suggest growing squash. Not only are they incredibly beautiful plants, they’re super good for you and your garden. 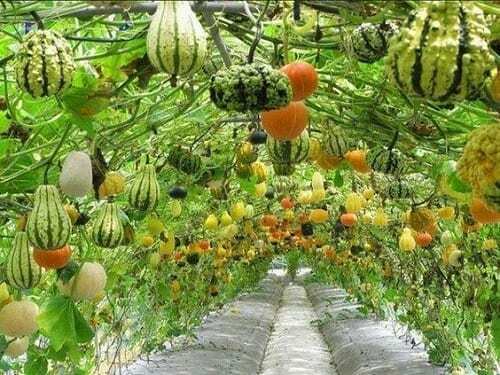 It could take up to 70 days for summer squash to grow and up to 120 days for winter squash to grow. Therefore, you must plan ahead before taking a shot at this veggie. Water them repeatedly throughout their growth process and you’ll have a wonderful soup for the winter and desert for the summer. Just as it’s important to know about your climate before planting your garden, you must also know the degrees of sunlight a particular plant will need. Not all plants thrive in the sunlight. Crops such as hydrangeas and ferns will blossom fully in the shade and only require minimum sunlight. Lavender and daisies, however, are two plants that need absolute sunlight at all times. It’s just as crucial to research your plant’s growth process as it is to understand your climate.